Since the inception of Islam over 1400 years ago, Islamic art focused on representing the divinely-revealed words of the Quran, making Calligraphy the highest of all art-forms for Muslims who expressed their love and devotion to God through the immaculate beauty and superb craftsmanship of their artistic work. Following a presentation designed to familiarize visitors with Islamic Calligraphy, you will get a chance to try your hand at calligraphy! 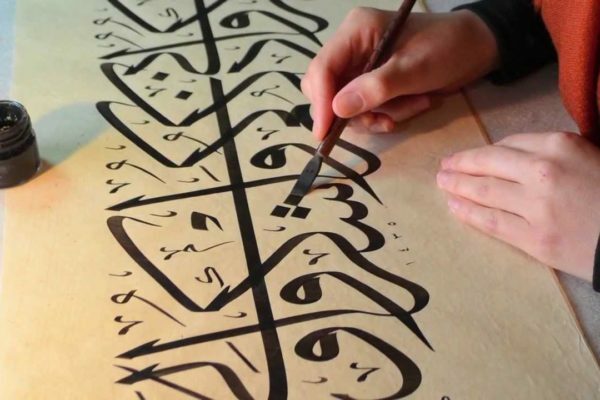 Presenter: Dr. Saleem Seyal will take us on an inspired journey through the evolution of Islamic Calligraphy over the centuries through examples of various styles and scripts which, in essence, demonstrate the profound connection between seekers of God. Dr. Seyal is a senior cardiologist who has dedicatedly pursued his learning and practice of Islamic Calligraphy for the past three years.